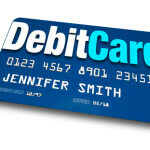 When speaking of credit card processing, the cost is often the first thing you will see on the list of disadvantages. When a customer pays in cash, the seller does not need to worry about any fees at all. When a customer pays with a credit card, the seller must pay fees to process the payment. Upon considering the many advantages of accepting credit card payments, it is understandable why many business owners do not mind the processing fees. True enough, credit card merchant processing can dramatically increase your sales and boost your marketing performance. The exact cost of credit card processing will vary depending on your merchant account provider. Banks also charge different fees depending on the type of processing involved. Typically, retail processing or transactions where the credit card is presented will cost less than online processing and MOTO processing or transactions where the actual credit card is not necessary. This is primarily due to the fact that errors are more likely to occur when the credit card information are manually entered or typed into the terminal than when the credit card is swiped into the terminal. Before signing up for a merchant account, it’s very important to understand the exact fees. Keep in mind that if you are going to accept credit cards and debit cards, the processing fees will be different for these two types of payments. Equipment fee. If you’re going to rent the equipment or terminal, expect a monthly fee to be added to your expenses. Reserve fee. Your bank may require a “reserved fee” or security fee which will be used as payment in case of charge backs or disputes. See to it that you understand the policy of your merchant account provider regarding how long the fee will be placed on hold and when it will be released. Discount rate. The discount rate is the percentage charged for each transaction depending on the the credit card used (VISA, MasterCard, Discover, Diner’s Club, etc). For credit cards, the discount rate may range anywhere from less than 2% to as much as 6% per transaction. Meanwhile, there is usually a flat rate that applies for debit card transactions. Qualified rate. The lowest possible rate charged to the most secure type of transaction. This often applies to transactions where the actual credit card is swiped into the terminal. Meanwhile, the rate charged for the least secure type of transaction is known as the unqualified rate. Minimum monthly fee. If you do not reach the minimum quota of credit card transactions for the month, you can be charged with a fee anywhere from $25 or less. Transaction fee. Most processors charge a small fee (10 cents to 30 cents) applied to each credit card transaction. Setup fee. This is the one-time fee you will submit when you apply for a merchant account. Batching fee. The batch processing fee applies when you settle your terminal and send all transactions made within the day to your credit card processing company. Authorization fee. This fee applies each time you inquire authorization of the credit card from a bank or issuer, regardless of whether the transaction is approved or rejected. It is usually included with the discount rate. However, some processors may charge this separately. Termination or Cancellation fee. Some merchant service providers may charge a penalty fee if you cancel or terminate your contract. Unfortunately, some processors do provide unsatisfactory service. 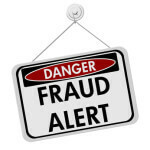 This is why it’s very important to do research before setting up your merchant account. If this was helpful, please LIKE or Tweet this post, thanks! Should Small Businesses Use PayPal? Melanie James has spent the last 14 years working with businesses to implement quick, effective and inexpensive changes to their businesses to increase productivity and their bottom line. Are you paying to much for merchant services? How To Break Office Lease Without Being Penalized?